There is no shortage of safari, wildlife and bush experiences in the Eastern Cape; simply scroll into Google Maps and the green protected areas of national parks, nature reserves and private game reserves dominate the space, as you hear a quiet whisper: “go wild”. The opportunity to see the Big Five in their natural habitat is a once-in-a-lifetime experience not only for foreign visitors but also for locals. And the Eastern Cape is an easy wildlife choice as the areas are easily accessible, malaria-free and near Port Elizabeth’s airport. There are also an enticing variety of reserves and parks in the region, with a variety of accommodation options for all budgets, plenty of activities and the choice between day or overnight trips. And, of course, let’s not forget that South Africa’s third largest national park (Addo) is in the Eastern Cape; it’s also the only park in the world that is home to Africa’s Big Seven: lion, leopard, buffalo, elephant, rhino, the Southern right whale and the great white shark. From the coast to the Camdeboo plains, you are in for a wild ride. Here are 9 National Parks and private game reserves to discover in the Eastern Cape. Camdeboo National Park might not be home to the Big 5 and, yes, it is the second smallest of its kind in South Africa, but the impressive 225 recorded bird species, small game, well-maintained game drive routes and the dry landscape, with its unique vegetation, is only half the reason why visitors frequent the gates of this park. 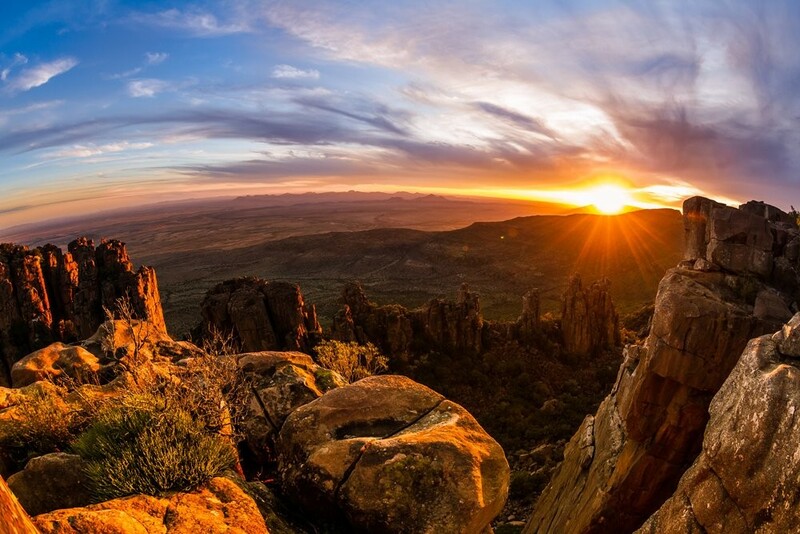 The number one reason why visitors flock to these plains of the Karoo can be found in the echoes sounding between dolerite columns of the geological wonder that formed hundreds of millions of years ago – the Valley of Desolation. At the valley, visitors can witness something that happened about 180 million years ago when dolerite columns formed from volcanic eruptions forcing molten rock through the sediment, resulting in pillars rising from the earth. Type of accommodation: Camping and safari tents or stay in nearby Graaff Reinet. Open to day visitors: Yes. Onsite restaurant and shop: No restaurant or shop, but firewood is available from reception. Stock up in Graaff Reinet. Hiking trails: There are 3 hiking trails; the 1.5km Crag Lizard starts at the Valley of Desolation, the Eerstefontein trail starts and ends at Spandaukop Gate and offers distances of 5km, 11km and 14km and the Gideon Scheepers Trail is an hour walk which starts at the Gideon Scheepers Monument and ends at Barbergat. Other activities on-site: There are two 4x4 trails: Driekoppe is a scenic grade 2 trail (2x4’s welcome) while Koedoeskloof should only be attempted in a high-clearance 4x4. Birding enthusiasts can enjoy the bird hide and the Nqweba Dam provides for watersport activities like boating, windsurfing and fishing. Home to the Big Five as well as other cats and predators, Lalibela Game Reserve’s primary focus is to conserve indigenous fauna and flora; it has huge herds of game thanks to the vast areas of the Savannah Grassland biome, which forms part of the 5 ecosystems that can be found in the 10 500 hectares of land. Comfort and luxury are key players here as visitors are treated to their own, personal Out-of-Africa experience in the diverse landscape, just a stone’s throw from the city. Distance to closest town: 90km to Port Elizabeth. Type of accommodation: Chalets, manor and luxury safari tents. Self-drive /guided game drives: Guided. Open to day visitors: Yes (available to groups larger than 20). Onsite restaurant and shop: Yes. Hiking trails: There is the option to do a Big Five walking safari. Other activities on-site: Don’t forget to pack your binoculars for some birdwatching. 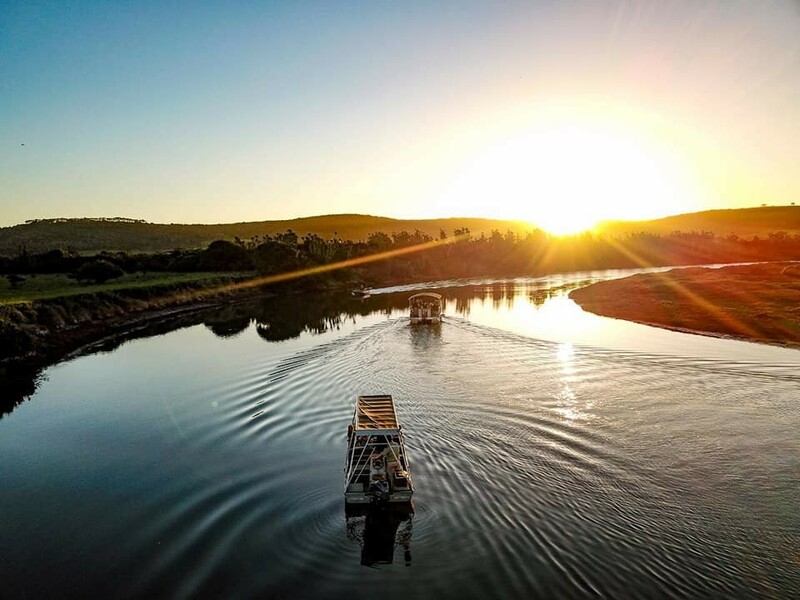 Sibuya Game reserve, situated on the banks of the Kariega River, has a one-of-a-kind ambiance with the Indian Ocean as a backdrop and its diverse range of bird and wildlife species, including the Big Five and the rare oribi antelope. 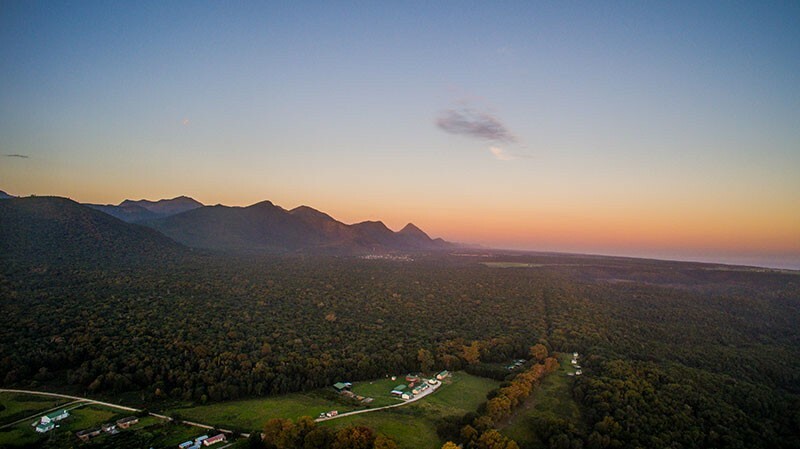 Exclusive, luxurious and personalised experiences are guaranteed in this eco-friendly destination where East Cape valley bushveld, coastal forests and grasslands come together to make this a wilderness getaway like no other. Distance to closest town: Reception is in Kenton-on-sea, while Port Alfred is 26km away. Type of accommodation: Luxury tents and luxury suites in lodge. Other activities on-site: Birdwatching, canoeing, river cruises and fly fishing. Coca-Cola-coloured rushing waters, indigenous forests with large yellowwoods towering above the canopy and one unpredictable (or rather, stormy) ocean is what Storms River Mouth Rest Camp – which falls under the Tsitsikamma section of the Garden Route National Park – is known for; and of course, the world-renowned five-day Otter Trail. While this park is not one for the game sightings (except for baboons, bushbuck, otters and dassies), it is Africa’s oldest Marine Protected Area and one of the world’s first and largest ‘no-take’ areas. Distance to closest town: 68km to Plettenberg Bay (Smaller Storms River Village is 17km away). Type of accommodation: Camping, forest huts, chalets, cottages and oceanettes. Self-drive /guided game drives: No game drives available, but there is a Woodcutters' Journey. Hiking trails: Besides the 5-day Otter Trail, you can enjoy a variety of day hikes including the first section of the Otter Trail and the short walk to the suspension bridge. There are a total of 12 day-hikes which fall under the Tsitsikamma Section of the Garden Route National Park. Other activities on-site: Snorkelling, scuba diving and the epic Kayak & Lilo Adventure, while nearby blackwater tubing, Segway and ziplining also takes place within the national park. Your senses are in for a treat when visiting Mountain Zebra National Park with its dramatic landscapes set against a backdrop of moody skies, a lone windpump and rock formations stacked in piles by Mother Nature herself. This park lies in the heart of the Karoo and the conservation efforts and successes of the park – to not only reintroduce species that roamed here hundreds of years ago, but also to repopulate and release dwindling species such as cheetahs - should not go unnoticed. Distance to closest town: 32km to Cradock. Type of accommodation: Camping, cottages, rock chalets and mountain cottage (4x4 territory). Self-drive /guided game drives: Both. Hiking trails: There are numerous guided hiking options such as the morning walks, the Salpeterkop hike, cheetah tracking (a combination of game drive and walking) and also San Cave Paintings (a short walk with a bit of rock clambering). Other activities on-site: There are some 4x4 trails to enjoy: Juriesdam and Sonnrust 4x4 trails are relatively easy while Umngeni is the most challenging one. As the oldest private game reserve in the Eastern Cape, a game drive at Schotia Safaris will keep you on your toes and your finger on the shutter button as it is one of the most densely stocked reserves in Africa with more than 40 mammal species and over 2000 animals. With the possibility of incredible sightings including giraffe, hippo and lion, the reserve also borders Addo Elephant National Park if you feel like extending your wildlife experience. Distance to closest town: 58km to Port Elizabeth. Type of accommodation: Lodge, honeymoon suites and tented camps. Other activities on-site: The Schotia Sea Safari is a cruise around Algoa Bay to view large and small marine- and bird-life in and around the Bay. Mount Camdeboo’s history is one of love, its presence is about passion and conservation and its future is a combination off all three. Mount Camdeboo is home to several endangered species that have been successfully rehabilitated into the Great Karoo and offers visitors the chance to experience fine Karoo hospitality and unforgettable wildlife encounters. The reserve forms part of the Karoo Corridor Project that will protect and preserve the land stretching from Mountain Zebra National Park in Cradock all the way through Mount Camdeboo, to Camdeboo National Park just outside of Graaff-Reinet. Distance to closest town: 60km to Graaff-Reinet. Type of accommodation: Cottage, safari tents and three different manor houses. 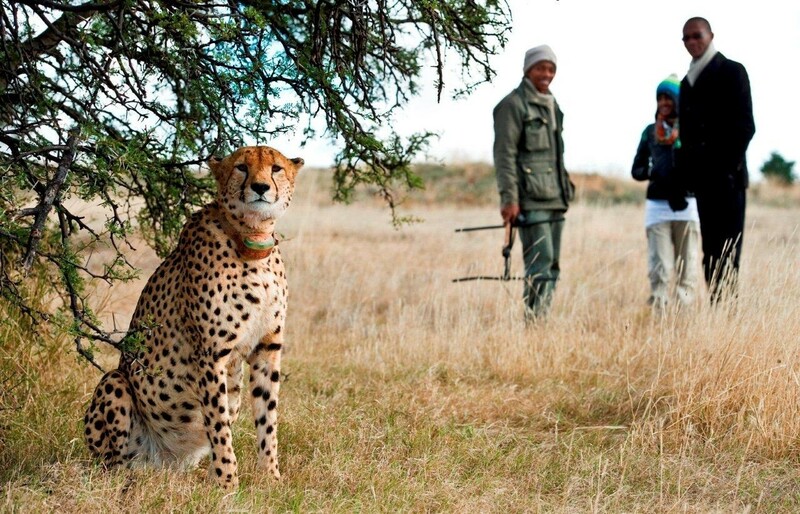 Hiking trails: Guided bush walks as an alternative to a normal game drive are available. Other activities on-site: Scenic flights, cheetah tracking, star gazing and a visit to a historic Anglo-Boer War site. The name ‘Kuzuko’ means ‘place of Glory’ and it only takes one game drive or just witnessing how the rays of one sunset touch the land below, to understand just how glorious Kuzuko Lodge is. Conservation, job creation and social transformation lies at the heart of everything that takes place in this private Big Five game reserve located on the border of the Greater Addo Elephant Park and the Karoo Heartland; from efforts to restore and rehabilitate ecosystems and protecting it all for future generations, to opening their home to South Africa’s most famous lion, Sylvester. Distance to closest town: 66km to Somerset East (150km to Port Elizabeth). Type of accommodation: Double or twin room chalets with private verandas. Hiking trails: Game walks (in Big Five territory) and nature walks (outside Big Five territory) are available. Other activities on-site: Khoisan Cultural Exploration, star gazing, wellness treatments and a junior ranger programme and other activities just for the kids. 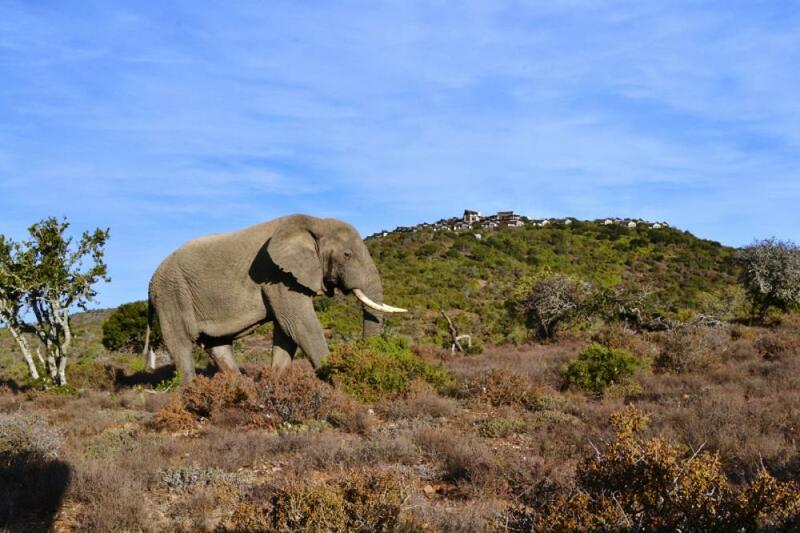 As home to the Big Seven, diversity is Addo Elephant National Park’s middle name. The park stretches all the way from the coast, with its islands serving as the breeding ground for the endangered African penguin, to the coastal forest of Woody Cape, where you can find the longest stretch of untouched dune fields in the Southern hemisphere, and through the main game viewing area that is home to the Big Five, and the Zuurberg Mountains with their panoramic views. Distance to closest town: 70km to Port Elizabeth. Type of accommodation: Camping, safari tents, chalets and more luxurious accommodation. 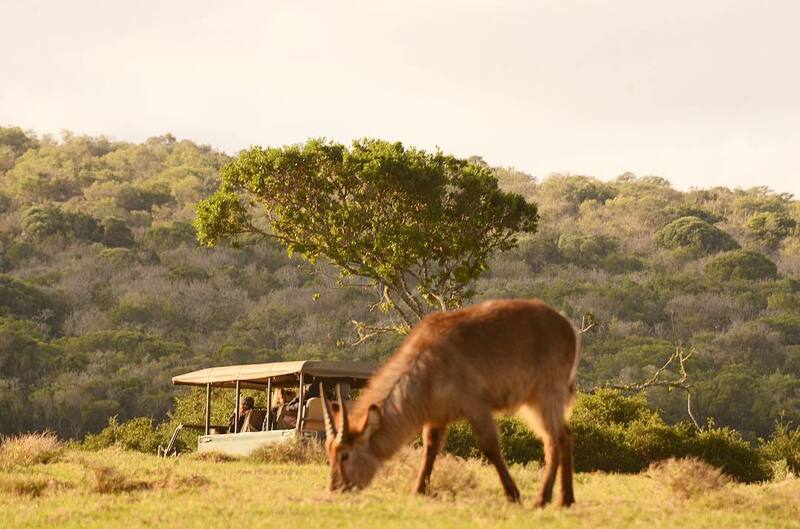 Self-drive /guided game drives: Both (there is also the option to get a hop-on guide). Hiking trails: There is the two-day Alexandria Hiking Trail, different hiking trails in the Zuurberg section of Addo Elephant National Park and also the PPC Discovery Trail which is a short wheelchair-accessible trail at the main camp. Other activities on-site: Game viewing on horseback, relax at the Addo Indlovu Spa and do the Bedrogfontein 4x4 trail. Look out for our round-up of Eastern Cape nature reserves that should be added to your travel list – available soon.